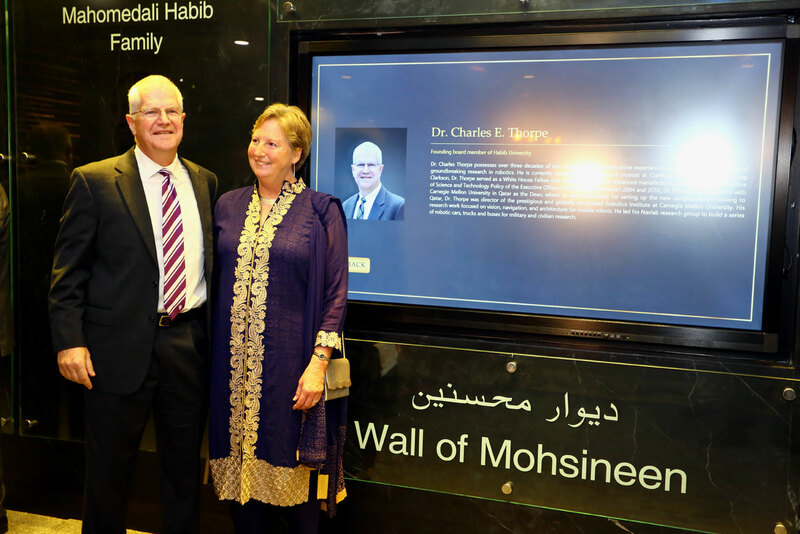 Habib University prides itself in building communities. 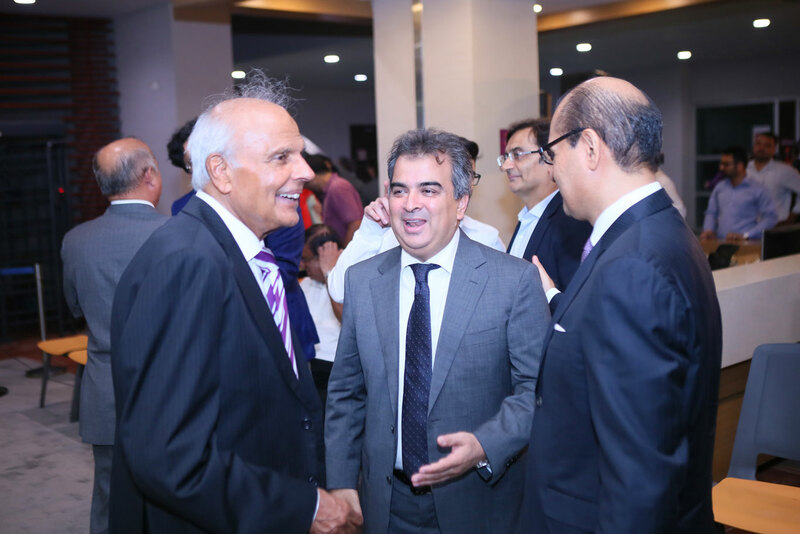 For private universities, quality is ensured through societal ownership by its community of supporters and friends. 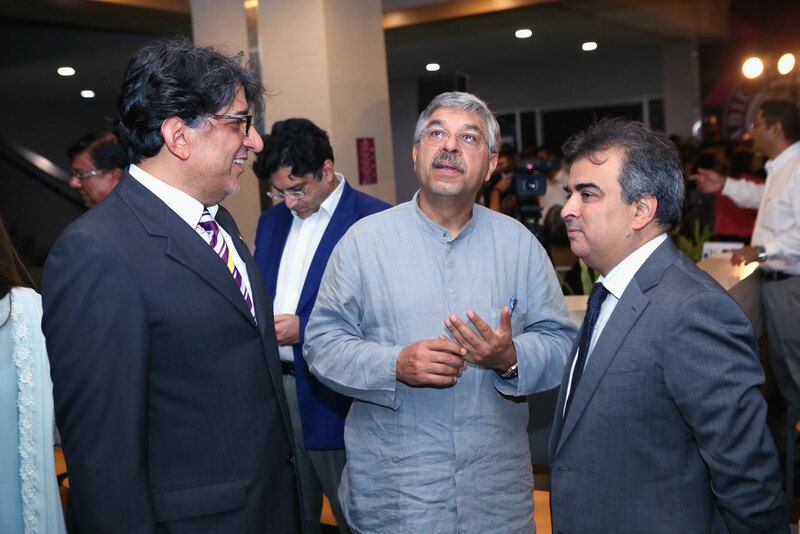 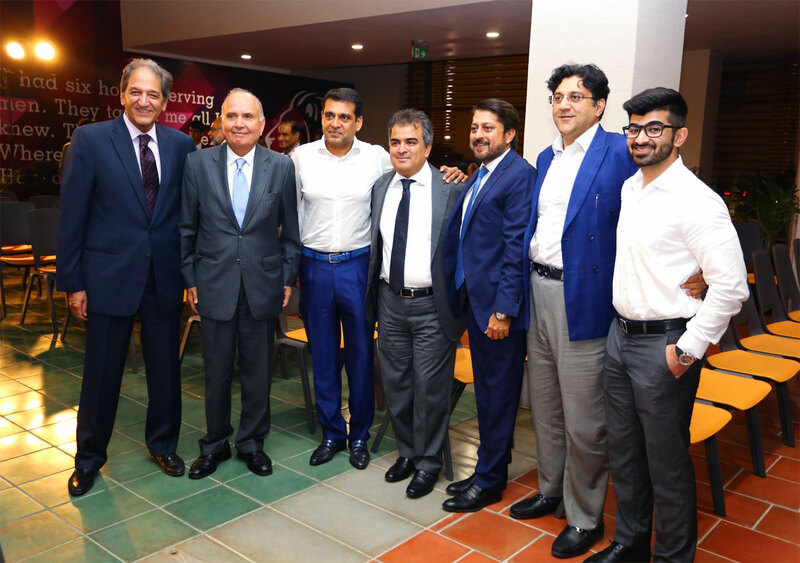 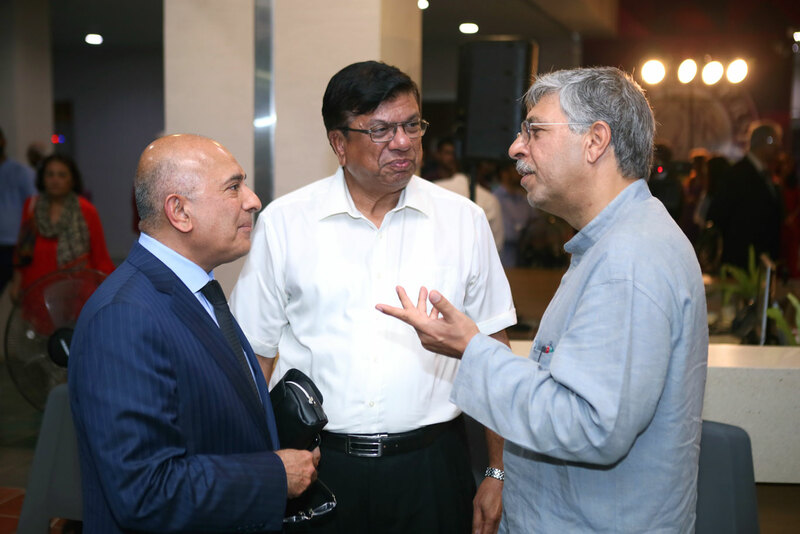 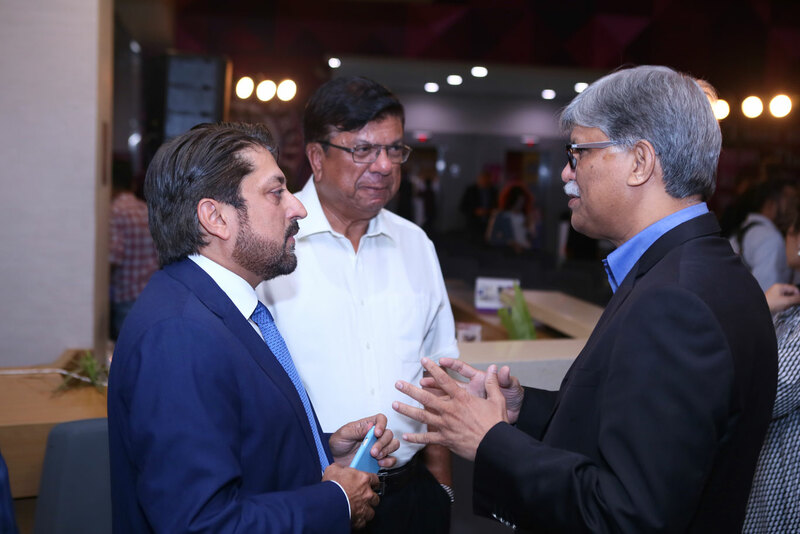 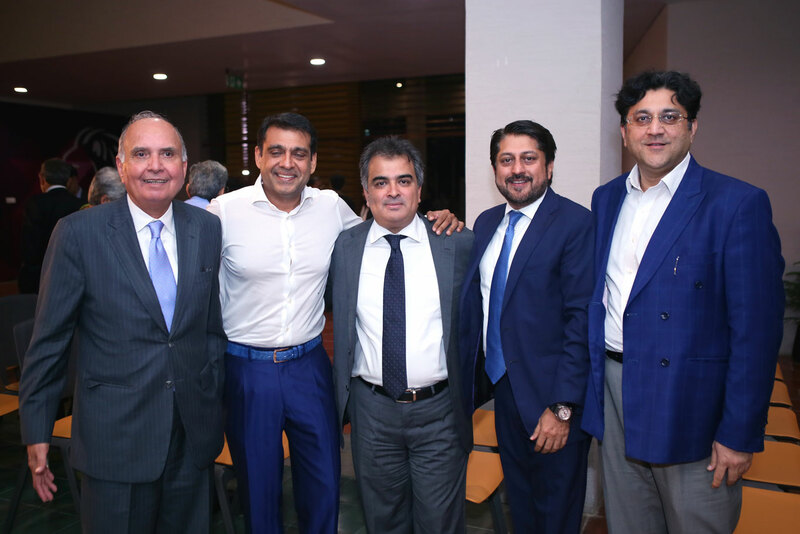 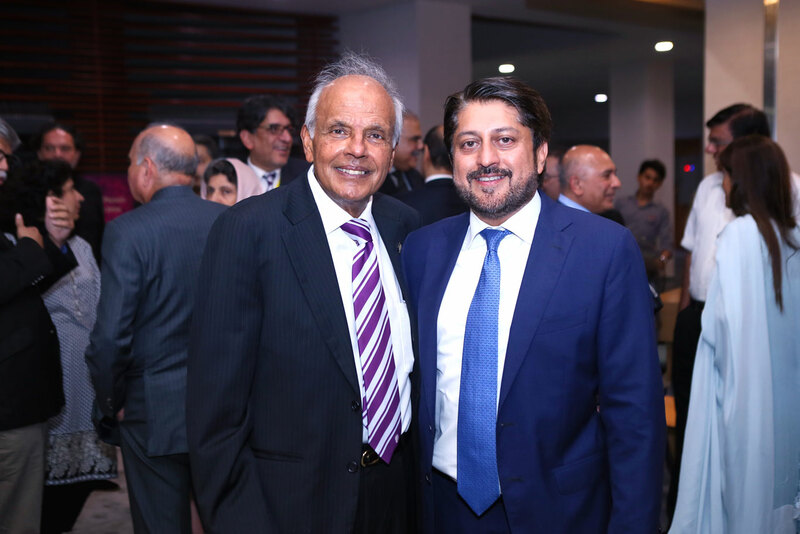 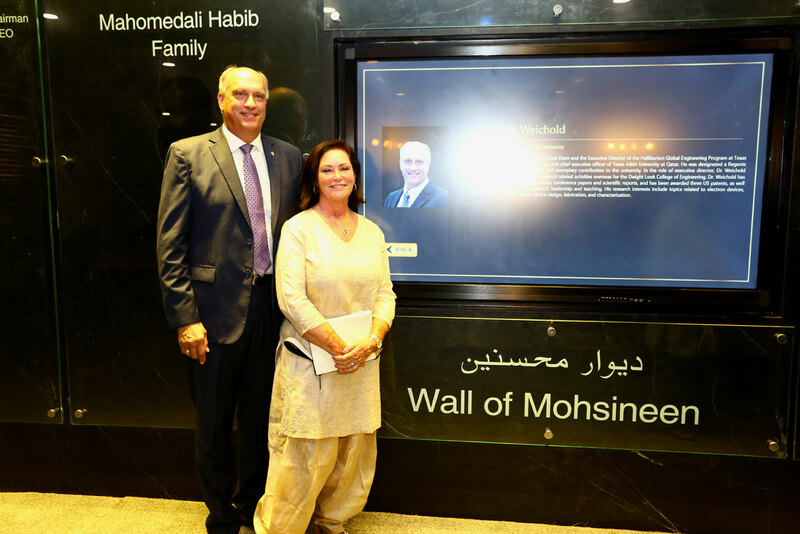 On 13th September 2017, Habib University hosted a high-level event on campus to celebrate the generosity of its distinguished community of Mohsineen, including many recognised names of Karachi’s community of business and philanthropy. 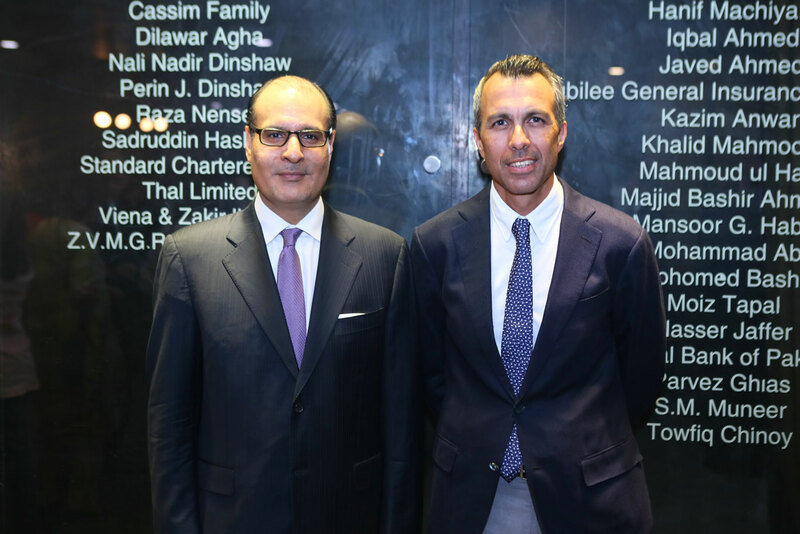 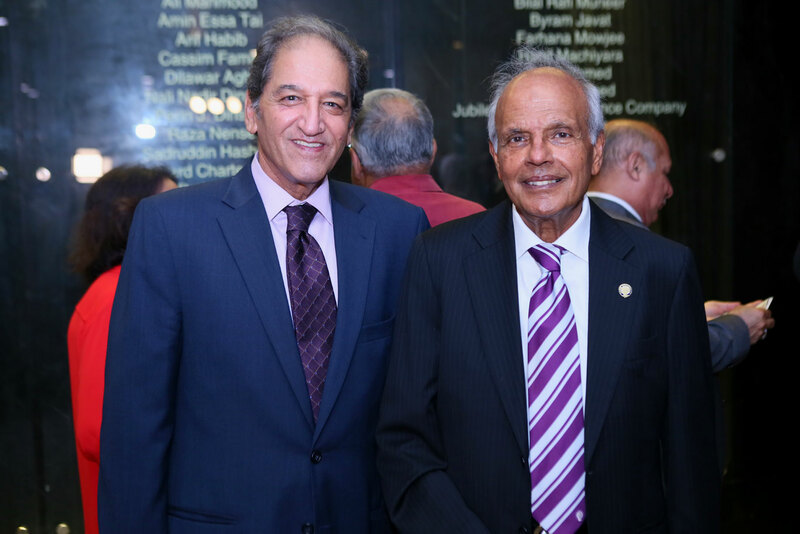 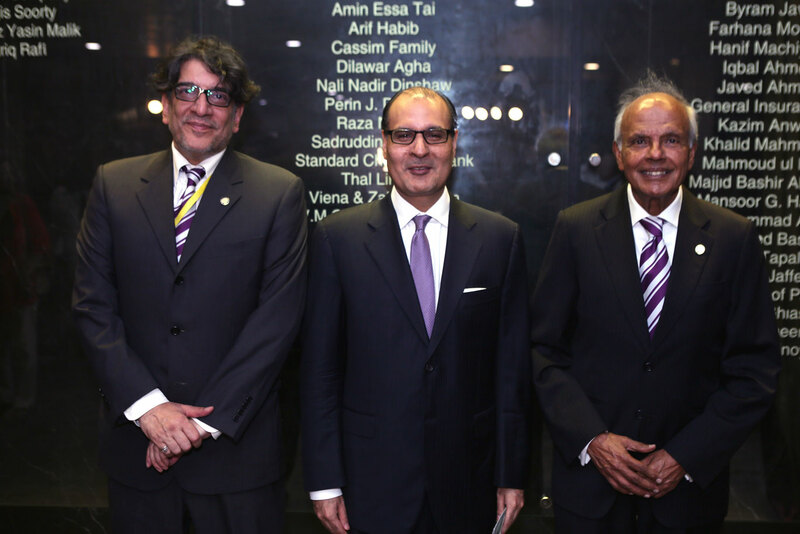 The guests were welcomed with refreshments on the terrace of the front façade of the campus, including the Habib family, university board, and dozens of donors. 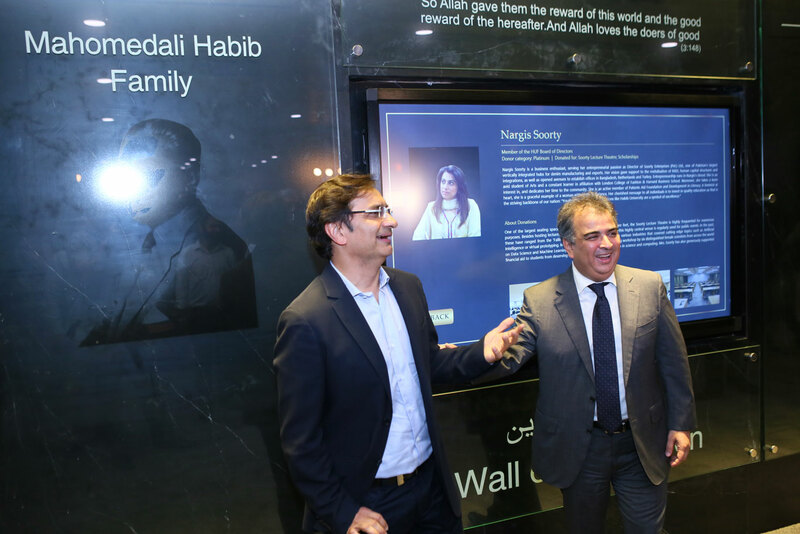 A glass wall portraying Habib University Through the Years was exhibited, documenting their involvement in making Habib University an institutional legacy. 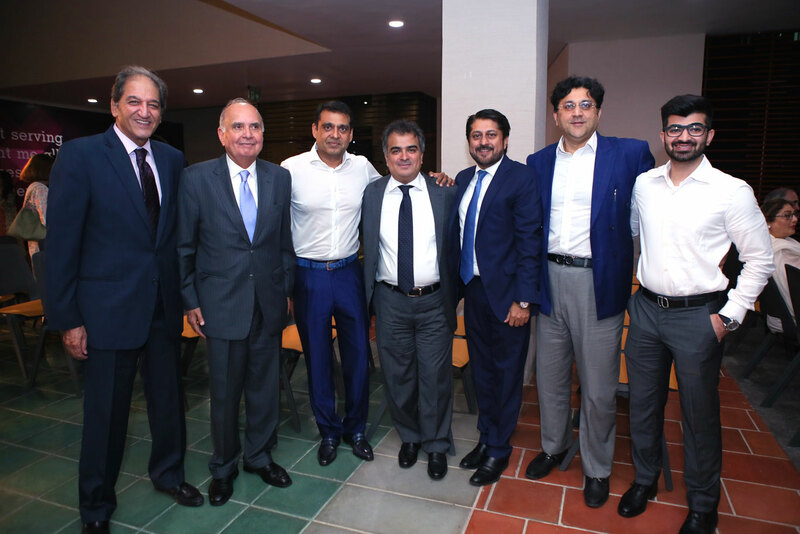 HU’s President Mr. Wasif Rizvi delivered an introduction in the university’s auditorium on how multi-level governance and societal involvement helps to address the structural challenges in Pakistan’s higher education landscape. 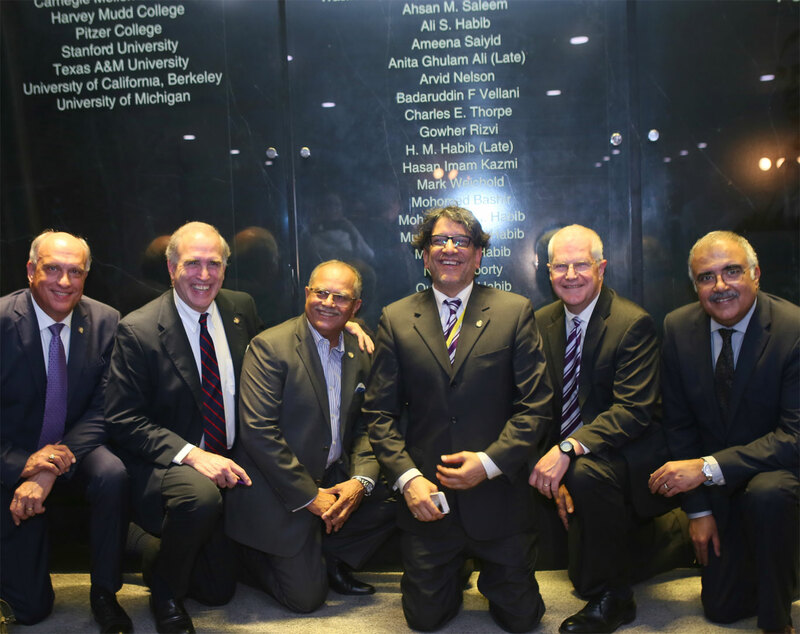 A special documentary showcased HU’s impacts in creating life-long transformative and accessible education. 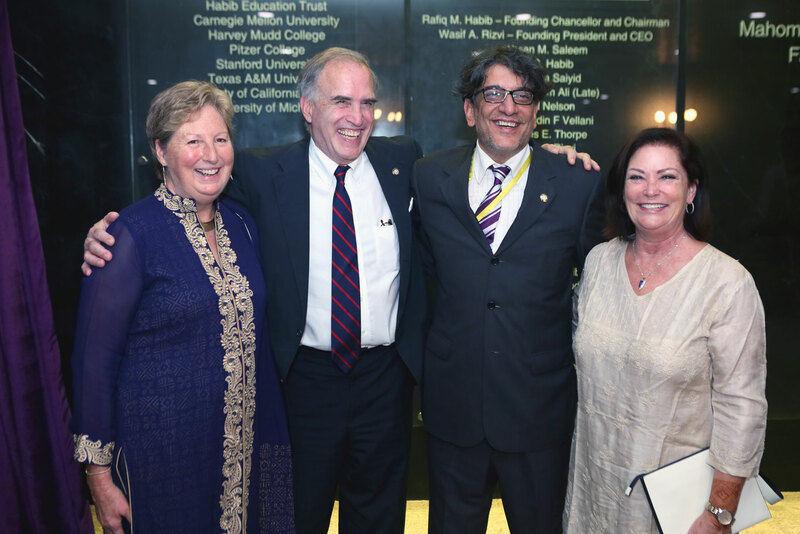 The evening included the term Mohsineen being coined for HU’s benefactors and friends. 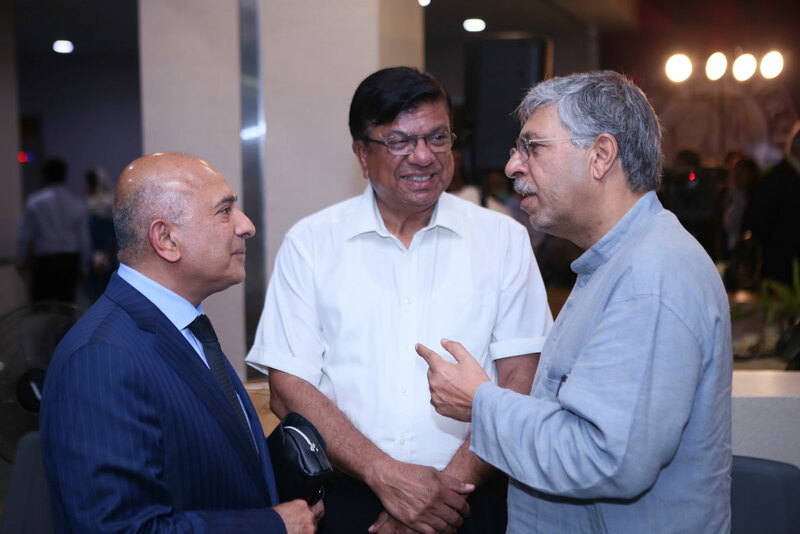 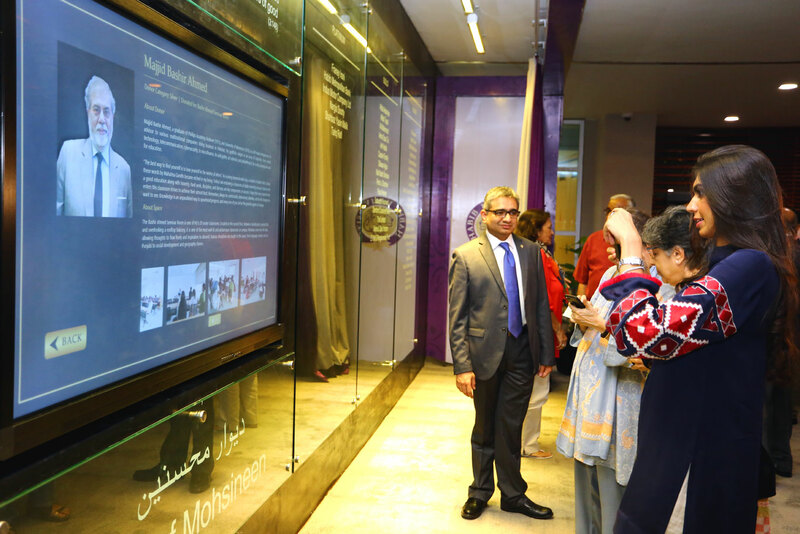 Chancellor Mr. Rafiq M. Habib recounted the Habib family initiating this project as a national cause and highlighted that it was due to the Mohsineen and their support that the institution has been able to come this far. 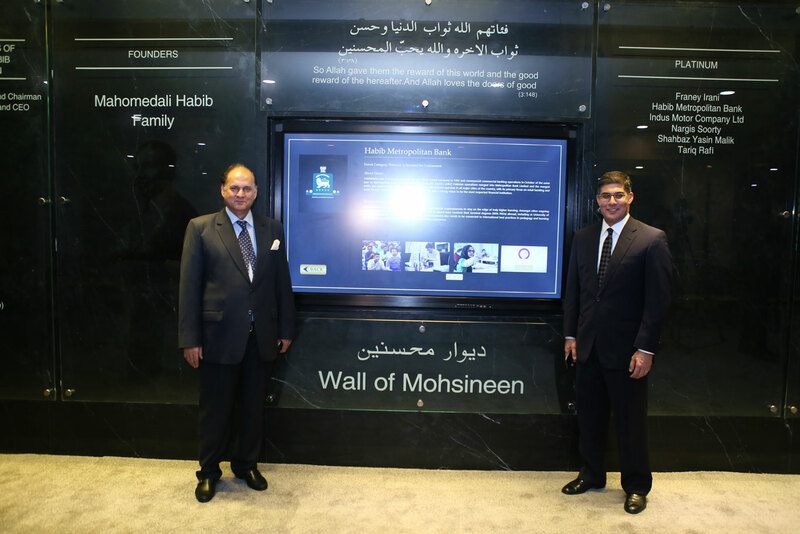 Two of HU’s venerated Mohsineen spoke about their own journeys of becoming part of the HU community. 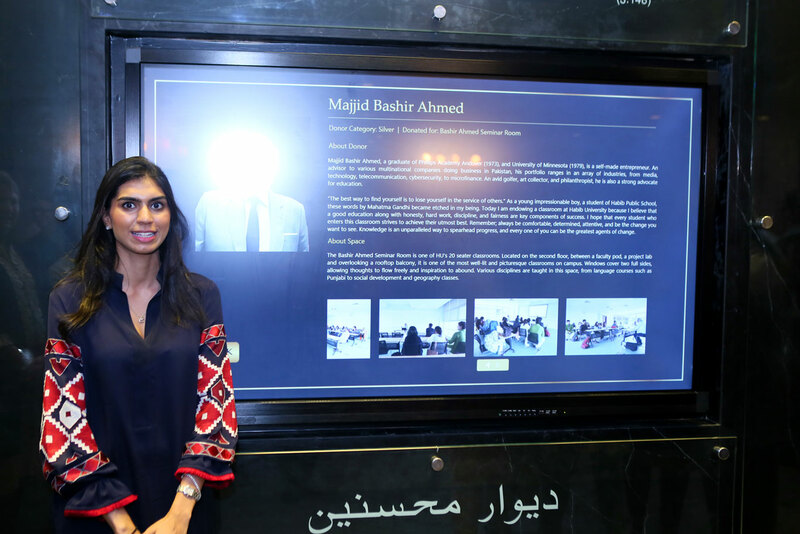 Giving life to HU’s commitment to embed higher education in the local cultural context, the esteemed guests were treated to a dramatic poetry reading by two HU students. 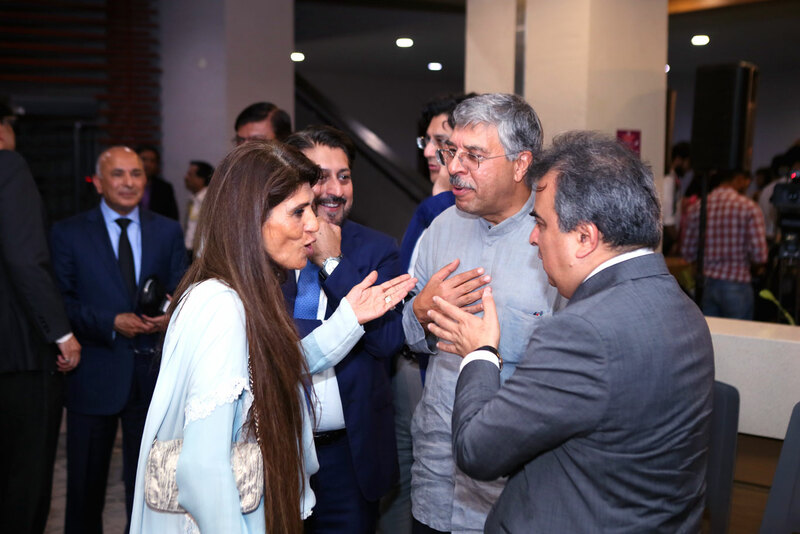 The audience also thoroughly enjoyed an unusual performance by HU Mathematics Lecturer Yousuf Kerai, who not only played a folk piece on the tabla but alongside offered descriptions of the mathematical structure underlying this tradition. 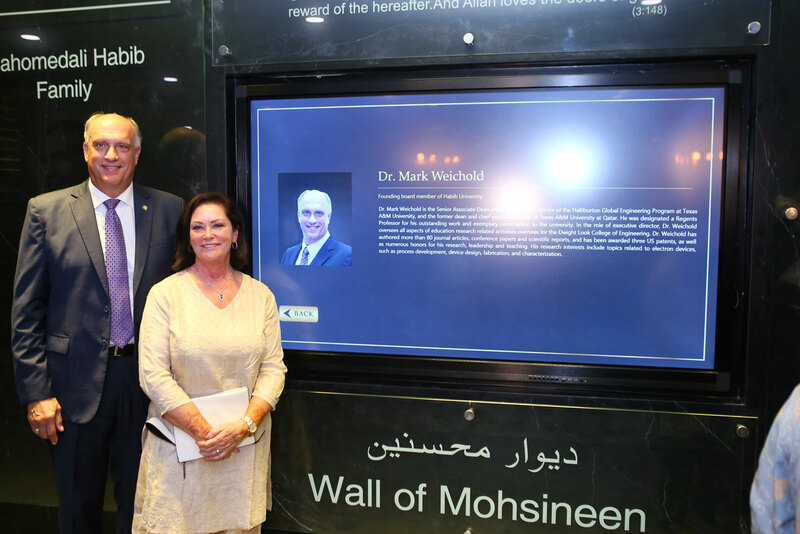 The unveiling the Wall of Mohsineen was the highlight of the evening. 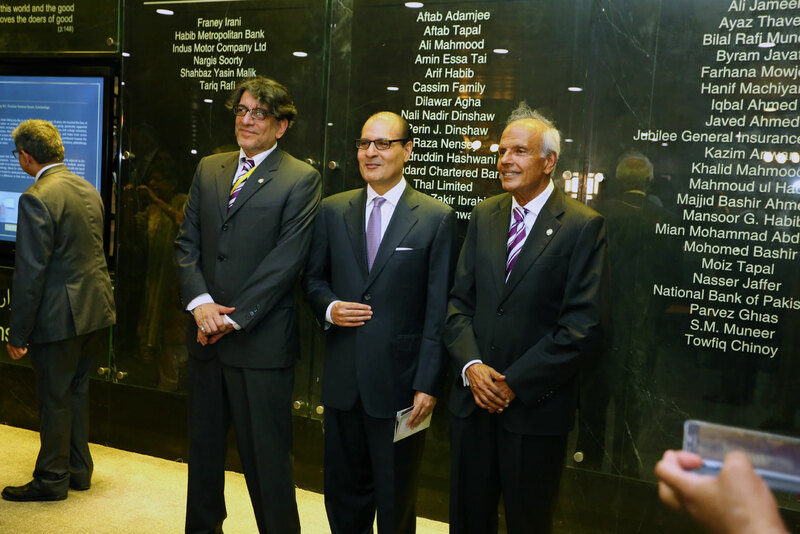 It is built as a permanent recognition for those who have been invaluable in developing this transformative institution. 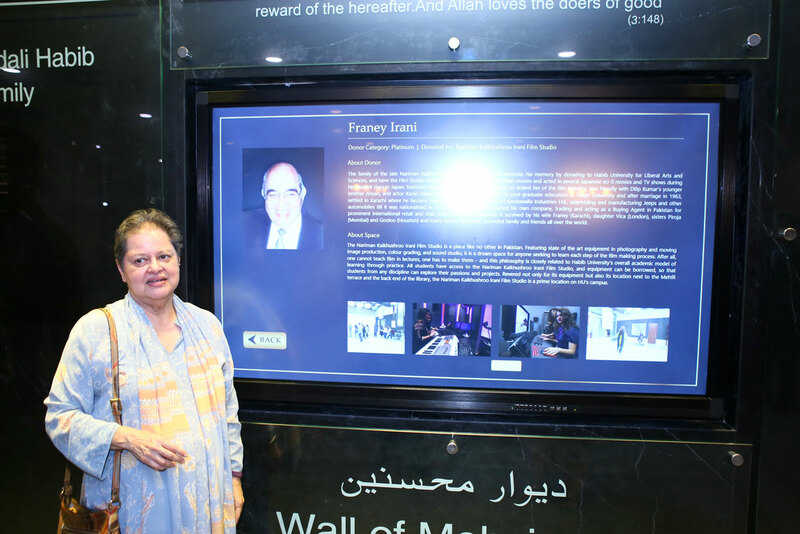 After the applauded unveiling, many Mohsineen browsed through the wall’s integrated touch screen. 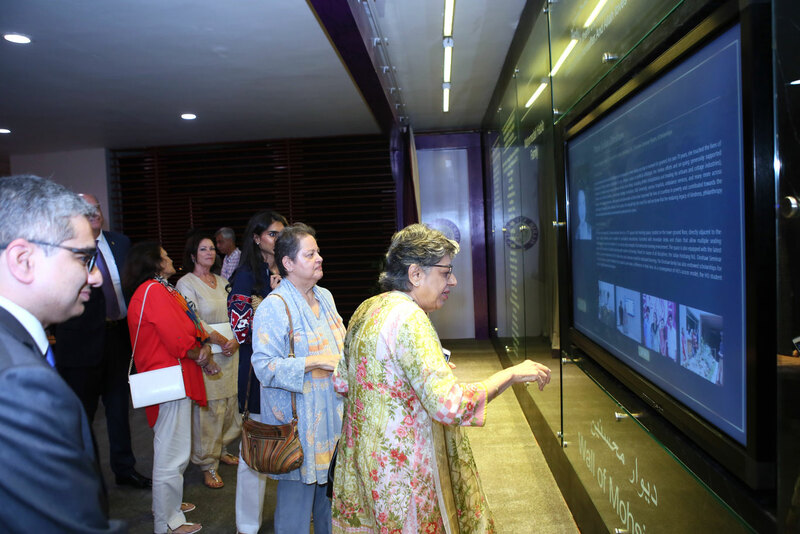 They particularly enjoyed how it shows the impact of their donations, both visually and in text. 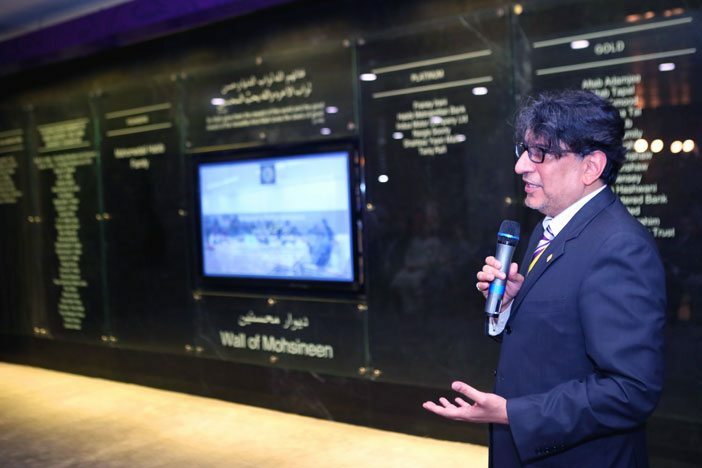 Whether in endowed spaces or financial support to students’ tuition, Habib University and its Mohsineen have already impacted hundreds of lives by allowing students to access world-class education in the largest city of Pakistan. 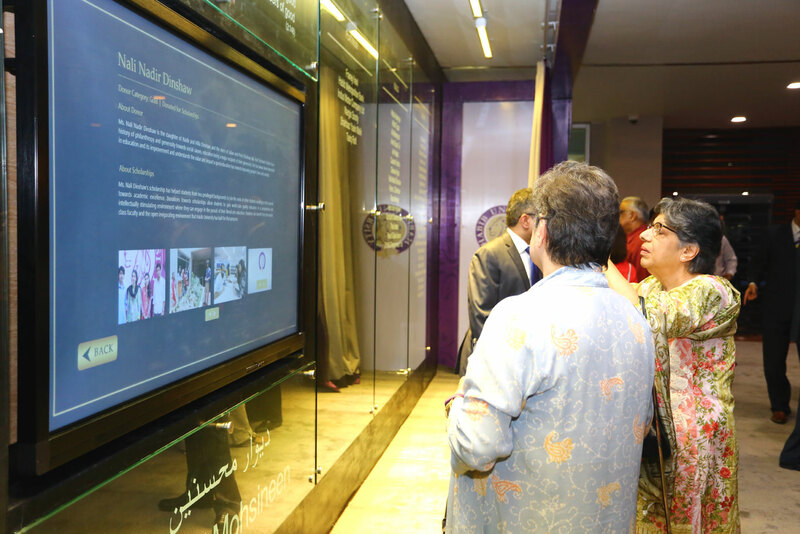 Browse through the gallery below. 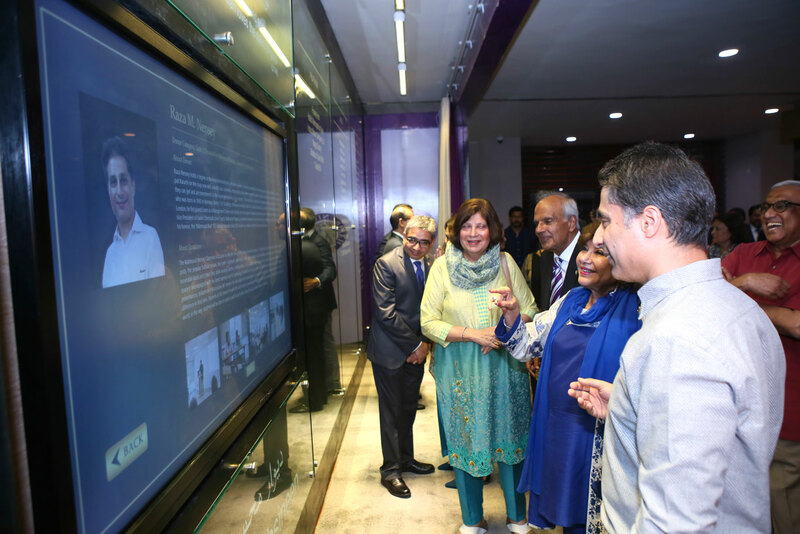 Pictures clicked can be enlarged and saved with the right-mouse button.